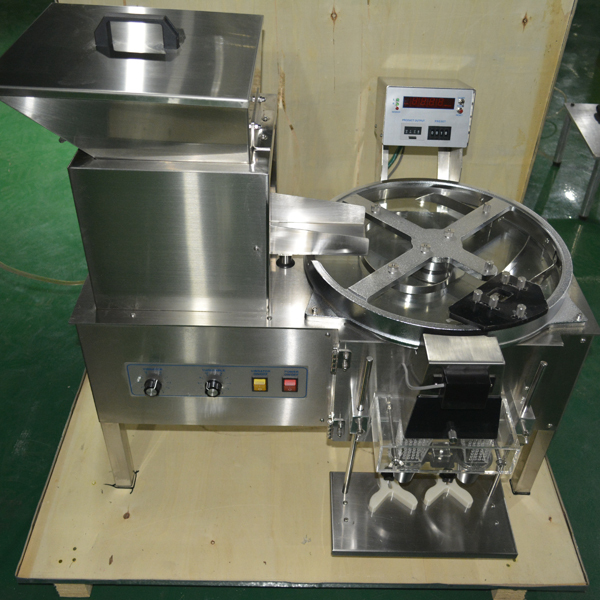 Electronic tablet and capsule counting machine for small production. 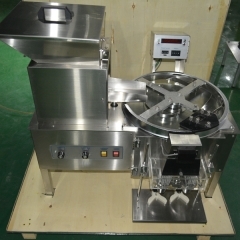 The electronic tablet and capsule counting machine is widely used in pharmaceutical industry for all kinds of tablet and capsule automatic counting and filled in bottles. 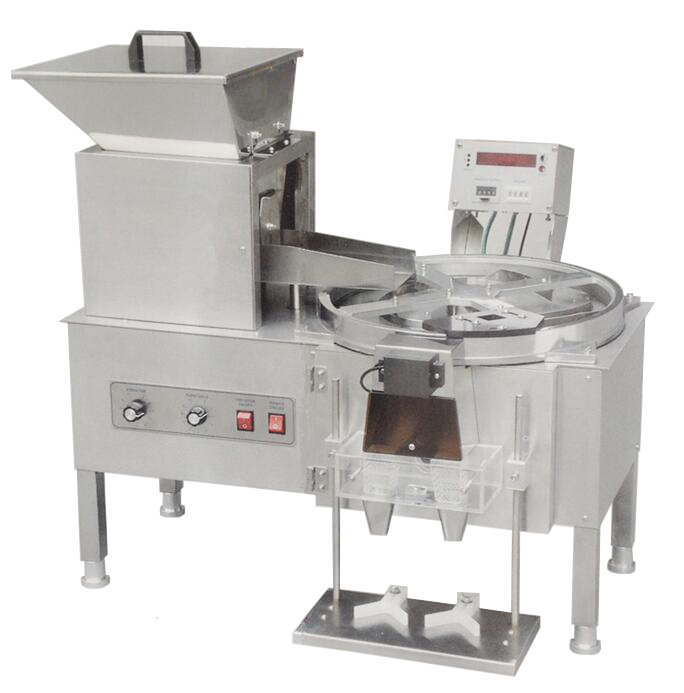 The number of pellet counted can be arbitrarily set up among 0~9999. 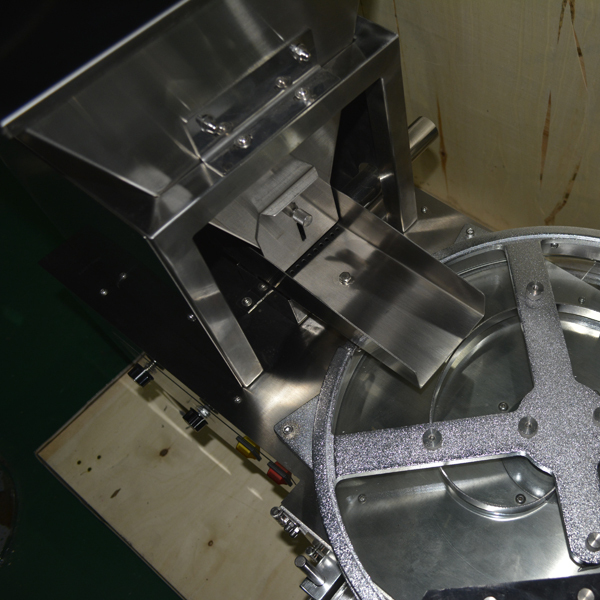 Stainless steel material for whole machine body can meet with GMP specification. Easy to operate and no special training required. Precision pellet count with special electrical eye protection device. Rotary counting design with fast and smooth operation. 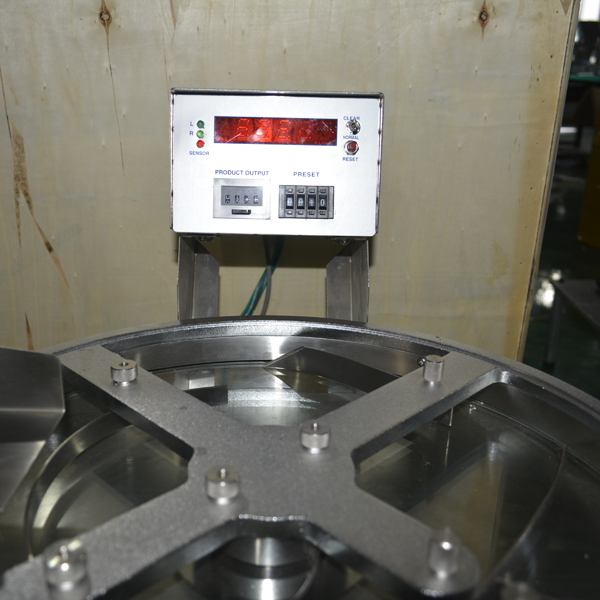 The rotary pellet counting speed can be adjusted with stepless according to the bottle putting speed manually. The interior of the machine is quipped with dust cleaner to avoid the dust effect on the machine. 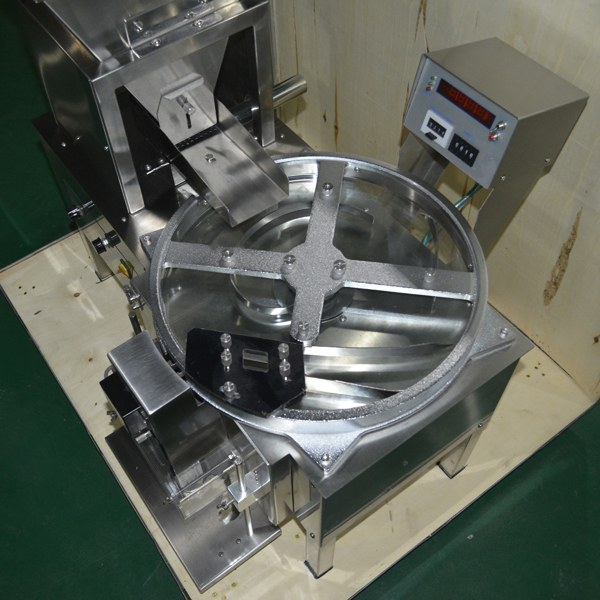 Once start with one bottle and automatically to count the next when finished, easy to pick up and put down the bottle by hand.